Hydrafacial uses advanced, patented vortex technology to deliver botanical ingredients with the most desirable nutrients such as hyaluronic acid, horse chestnut seed extract, red algae extract, copper zinc and magnesium peptides. The HydraFacial is a treatment that everyone can have. 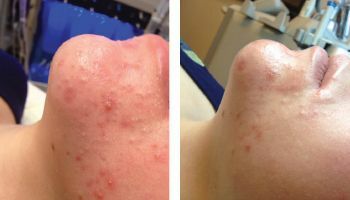 The great news is that because it restores and rebuilds the health of the skin it will give everybody an immediate visible improvement and what’s more the treatment can be tailored to treat any specific skin concerns you may have. "MY PRINCIPLES ARE GROUNDED IN THE PROMOTION OF EXCELLENCE, SAFETY, SCIENCE, EDUCATION AND NOT JUST SATISFACTION…BUT DELIGHTING MY PATIENTS WITH EXCEPTIONAL RESULTS THROUGH PRECISE FACIAL MAPPING AND BEAUTIFICATION"
Dr Acquilla can tailor and deliver a treatment plan for Botox, fillers or another treatment that suits your individual goals, he understands the emotions that are attached to age-related changes in your appearance and endeavour to make your experience a positive one.